Fusing the unique design style of the iconic Original Tall boot with new developments, the Norris Field boot is made for sustained use on varied terrain. 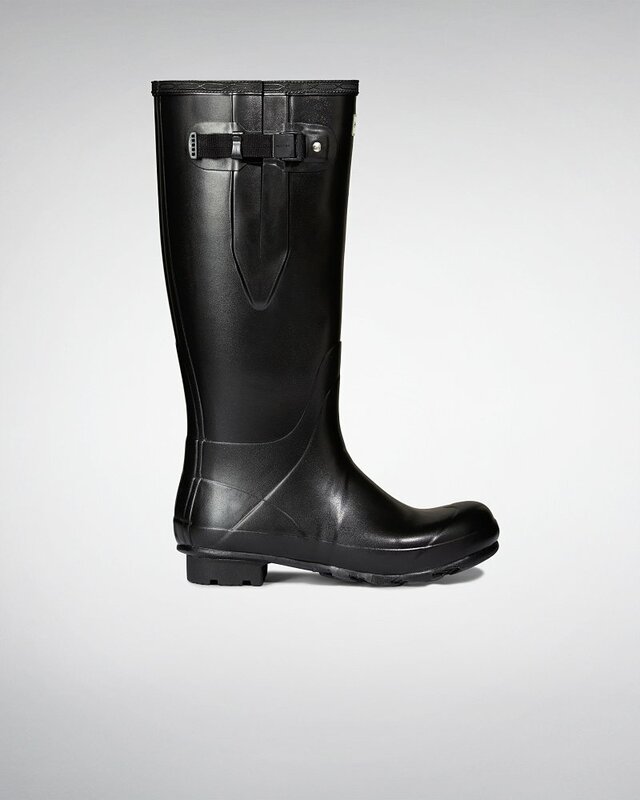 This adjustable, 3mm neoprene-lined rubber boot offers enhanced resistance against cold weather. Forming an insulating barrier, the neoprene lining safeguards against windy conditions. The design is built on a men's last from a new soft rubber compound that maintains strength, while being flexible to allow ease of movement. The boot has a weatherproof buckle with a webbing strap, a robust heel and high-traction zigzag tread. A green logo has been introduced to celebrate the launch of Hunter Field, a new brand category for performance and technical designs. During a period of transition, the product you receive may feature the original red logo or green Hunter Field logo.